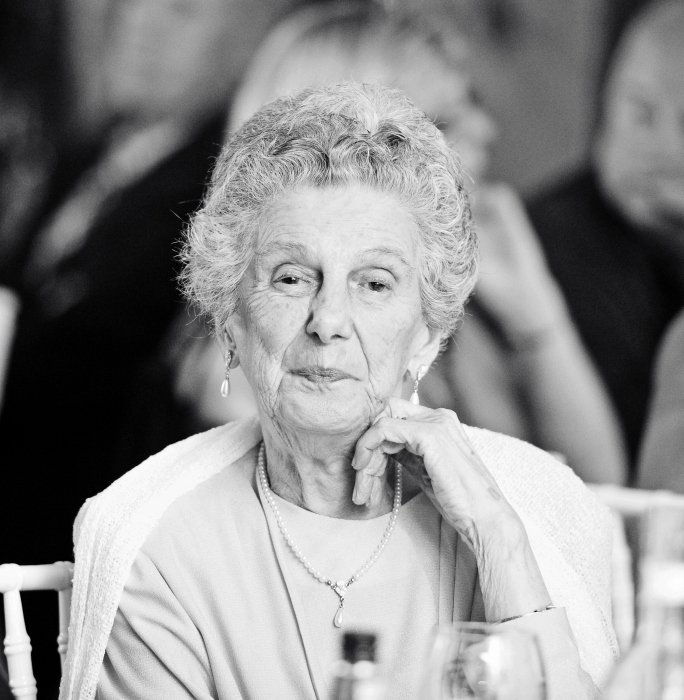 O’DONNELL, Marcelle “Stan” (Nee Lucano) passed away peacefully with family by her side on February 5th, 2019 in her 97th year. Predeceased by, and forever devoted to, her husband Fred O’Donnell (d. 1989). Exceptional mother and mother-in-law to Gary (Sharon), Bob (Philippa), Fred (Anne), Brian (Maggie), and Dianne (Don) Jamieson. Caring, kind, and thoughtful grandmother of Mark (Michelle), Carrie (Paul) McConnell, Paul (d. 1999), Greg (Lisa), Jeff, Gary (Sandra), John (Julie), Casey, Kelly (Steve Perry). She will be missed by her step grandchildren Mark (Michelle) Collins, Jennifer (Michael) Hennessy, Michael (Jennifer) Collins, Mark Leung, Katie Train, Chris (Kristy) Jamieson, Kerri (Evan) Davis. Proud great grandmother of Grace, Ryan, Maeve, and Nolah McConnell, Samantha O’Donnell, Allie and Jake O’Donnell, Avery and Logan O’Donnell, Clarke and Lily Perry. Sadly missed by her 14 step great grandchildren. Dear aunt of Gail Challice, and special mother-in-law to Pat O’Donnell and Mary Houston. Cherished and loved by her group of card girls. Predeceased by her parents Michael and Lucy (nee Sabatino) Lucano, brothers Michael (Lovina), Joe (Elma) Lucano, sister Margaret (George) Masters, and in-laws Greg (Connie) O’Donnell, Vass (Elizabeth) O’Donnell, Marie (Karl) Mackay. She was such a special woman to so many people. Friends are invited to join the family at HIGHLAND PARK FUNERAL CENTRE, 2510 Bensfort Road, on Sunday, February 10th, 2019. Visitation 12:00 PM - 2:00 PM. Ceremony in the chapel at 2:00 PM followed by a celebration in the Highland Park Reception Centre. Private family interment to follow at a later date. Memorial contributions to St. Vincent de Paul Food Bank would be greatly appreciated by the family.